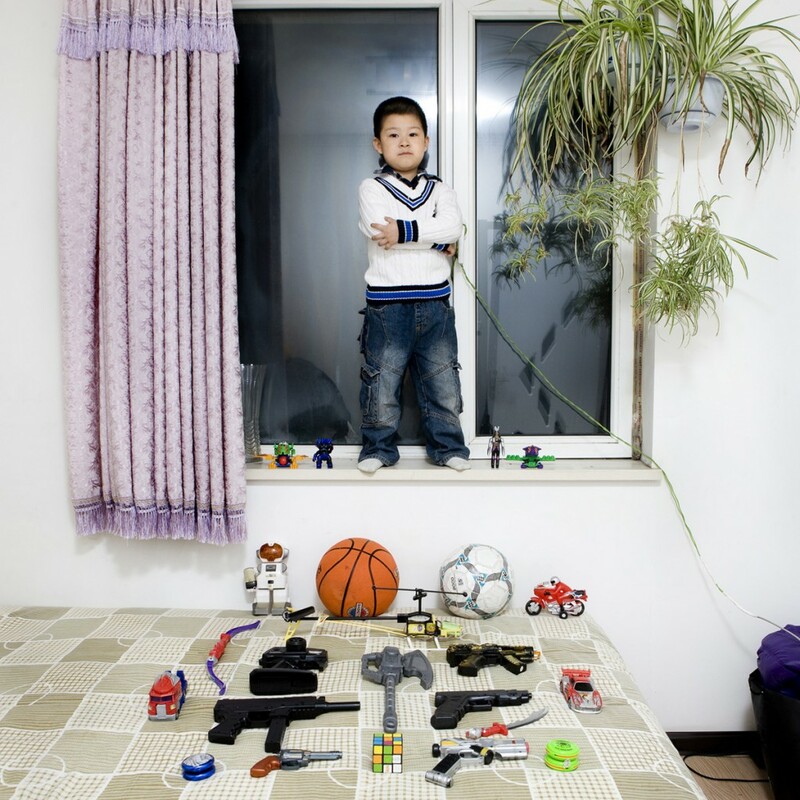 Li Yi Chen in Shenyang, China (image Gabriele Galimberti). The Italian photographer Gabriele Galimberti is an anthropologist of sorts, capturing and comparing individual people in relatively universal moments—Coffee Surfing: In Search of Sips of Happiness features people drinking a cup of coffee; Delicatessen with Love tells the story of grandmothers and their favorite dishes; and CouchSurfing documents a year Galimberti spent on strangers’ couches throughout the world. The projects are visual narratives that compare people across all social stations and lines of geographical and cultural difference, invoking common humanity around mostly universal acts like eating, sleeping, and parenting. His series Toy Stories cleverly weaves material things into this narrative and visual mechanics. 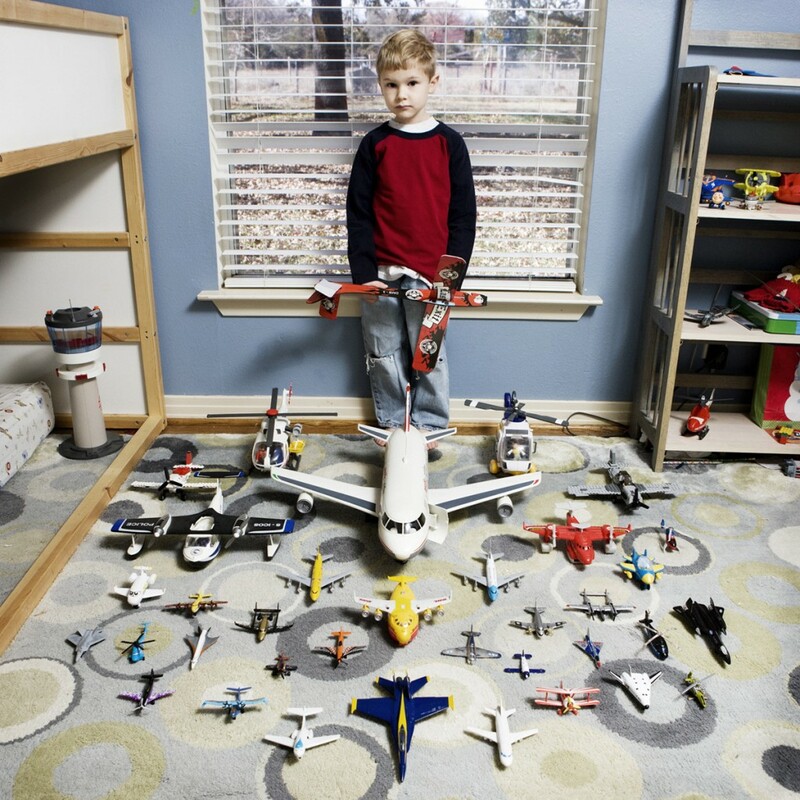 Galimberti took pictures of children with their favorite toys, straightforward images of children with a few toys in their own spaces. Most of the toys are quite familiar, and the rooms might be in nearly any place, so the project paints a picture of considerable commonalities. The narrative in this and many of Galimberti’s other projects tends to revolve around leveling distinctions and difference: plastic dinosaurs, for instance, patrol the distant reaches of Malta, Malawi, and Texas; Barbie reigns over bedrooms in Haiti, the Philippines, and Albania; Lego is found in Alaska and South Africa alike; and fabulous cars are part of the landscape in Iceland, Latvia, and Thailand. Julia’s bedroom in Tirana, Albania (image Gabriele Galimberti). Noel in Dallas, Texas (image Gabriele Galimberti). The intimacy of Galimberti’s images, the hint of children’s proud innocent possession, and the implication that such modest toys are more than mere commodities in the hands of a child makes for a compelling visual study of material things. The project ends up being a measured yet complicated critique of global consumption. 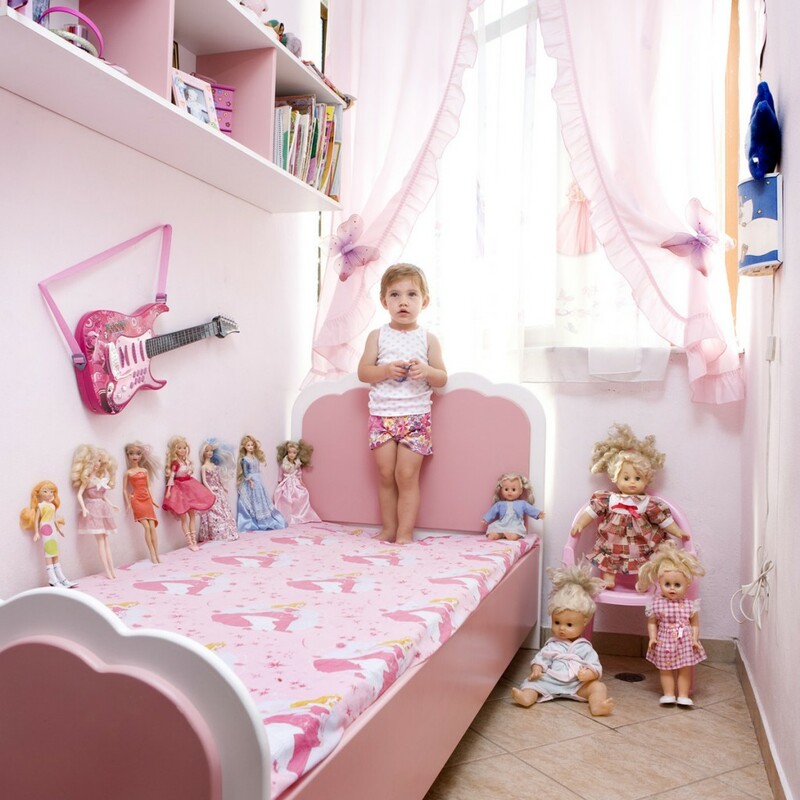 On the one hand, the multitude of Barbie’s and the Barbie-pink bedroom of Julia in Albania underscores the utterly total reach of the marketplace into every child and parent’s life. On the other hand, though, it is hard to reduce these children simply to automatons, because the images give them grace, happiness, and naivety that seems truly universal and seems unlikely to be vanquished simply by mass-produced plastics. The project delivers a thoughtful anthropological moment of self-reflection by making us contemplate how we see ourselves and others mirrored in such otherwise mundane things.